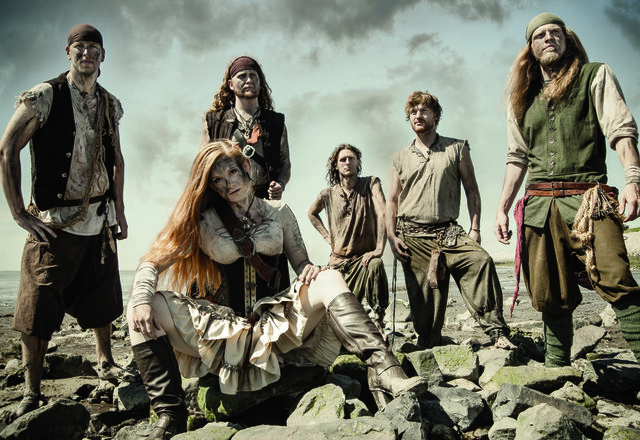 NoiseArt Records proudly announces the signing of the pirate metal horde THE PRIVATEER. Founded in 2007 by Roman Willaredt (Guitar) and Christian Spöri (Guitar) the band will release their label debut album in 2017. With their two albums, Facing the Tempest (2012) and Monolith (2013), THE PRIVATEER have already got a large following. Their blend of melodic death metal with the mentioned epic elements and further influences out of Neo-Classic and Folk have quickly made them a favorite with fans and critics alike. "Attention you jellyfish boned thumb-suckers! The production for our latest LP ist almost done! As if this fact alone wouldn't be reason enough to plunder our last rum supplies, we can also announce that we have found new allies. We are now sailing under the flag of „NoiseArt Records“ and we'll release our next Album with them. Our letter of margue is signed and we are looking forward to be on prowl again. The Crew of THE PRIVATEER"